“One Piece” is the longest running manga series, telling stories set in a world of what can best be described as super-powered pirates. As well as fight sequences which are so pacey and dramatic that they make X-Men and Avengers look flat footed and pedestrian, One Piece’s over-arching theme is that of the importance of nakama. Nakama is a Japanese word meaning “True Companion” – a friend, but much more than that, a friend who you can completely count on, and they can count on you. Monkey D Luffy, the captain who is made out of rubber and is a formidable fighter (but cannot swim, something of a failing in a captain of a pirate ship) and has literally no common sense. I love Luffy because he is fiercely loyal to his friends, is hugely impulsive and is the only fictional character I know that has less common sense than me. 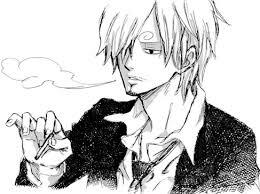 Sanji, the chain-smoking, high-kicking chef, who set off on the journey around the world so that he could catch and cook new kinds of fish, and who is such a ridiculous womaniser that when faced with beautiful mermaids got so excited that he got a nosebleed that almost made him bleed to death. Usopp, the pinocchio-nosed sharpshooter, who is a teller of tell tales and an inveterate coward, who still manages to follow his nakama into life-threatening situations even though his knees are knocking. Nico Robin, the ship’s archeologist (I know), who is like an even sexier version of Catwoman, she used to be the right hand woman of a really evil warlord, and she can sprout copies of her hands on any surface. Franky, the shipwright, who is a cyborg who powers up on cola, and has a penchant for dancing around in Speedos. Brook, a skeleton swordsman with afro-hair, who is a colossal pervert. This crew are actually quite normal compared to many of the bad guys that they face. I have my own nakama. The people who I work with are True Companions. We face stuff together, and sometimes things are tough, but we have each other’s back. I’m lucky to have found them. They may not have super powers, but they are super people. 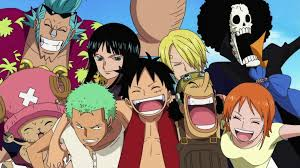 All of us need nakama, people around us that we can count on, that help us out, that make us smile when things are hard, that can sense when you need a kind word or a hand. I’ve always pretended to be a lone wolf, travelling from town to town, place to place – the sort of person who doesn’t need anyone else to get by. I’m Cain out of Kung Fu, David Bruce Banner out of the TV version of Incredible Hulk, “The Littlest Hobo” – I go to a place, help out and move on. My best nakama leaves the team for a while today, starting a great adventure of her own. I will miss her very much. The ship won’t be quite the same without her, and when she comes back, she won’t be quite the same either, because there will be a new nakama in her life too. She won’t be quite the same, she’ll be better. And it will be up to me to make sure that I’m better too. * We would, if any mad scientists are reading, be amenable to discussions about becoming super-powered lawyers. Well, at least, I would. Posted in stuff that isn't law at all, Uncategorized. Bookmark the permalink. Matron, he’s having one of his turns . . .